Bed & Breakfasts | Inns - Emz Blendz Soap Co. If you're a business and would like to order guest soaps and guest amenities from the Guest Amenities/ Wholesale Section of our website, please let us know. 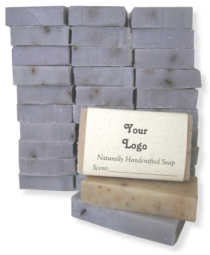 We specialize in providing premium quality handcrafted and custom labeled guest soaps and guest amenities for Inns and Bed and Breakfast businesses. Our products are good for your skin, comforting to use, and are conscientiously created with only the finest natural ingredients available. Our products are truly special and we are confident that your guests will be delighted by them. "Your stuff is a huge hit here! I know that some of our guests have already ordered products from your website. Thanks for such a great product!" "We received our soap collection yesterday. We can't thank you enough for all your hard work in making everything so perfect. We truly love them and know that our guest will as well." "We recently stayed at a wonderful Inn that provided your soap and we LOVED it! It was so moisturizing and smelled fantastic. I think it was the lemon verbena soap. We are planning our wedding and would love to give your soaps as wedding favors." "Now that we carry your soaps, our guests are always asking us for little bags to take their soaps with them. This has never really happened before. Your soaps seem to last much longer and people really love it!" "What a wonderful product. Thank you." "Had the joy of using this soap at an Inn and for an older lady with constant skin problems, I am very picky about my facial soap... wonderful!" Custom labeling is available for all guest amenities. We have unbeatable custom labeling rates.